Joint Opposition and SLFP Hambantota District MP Namal Rajapaksa has decided to file legal action, in the District Court, against former President Chandrika Kumaratunga for having defamed his character in public. The SLFP MP has charged that the former President had alleged that he had deposited a sum of US$ 1,000 million in a bank in Dubai, besides having similar accounts in banks in several countries, thus causing irreparable damage to his public image. 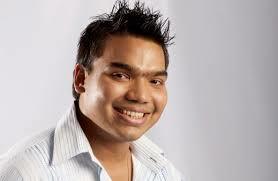 Namal Rajapaksa had sent a letter of demand, to the former President, claiming a sum of Rs 250 million on 8 February. Though the MP had demanded the sum to be paid to him within a fortnight, the former President had failed to comply with the demand, sources said. This has prompted MP Rajapaksa to file legal action in the District Court against Kumaratunga.